Green ear - pencil on ripped and cut paper. Personal experimentation. Pukeko - painted and printed paper collage on canvas board. Personal experimentation / teaching example. Pink snail - a combination of cut paper collage and woodcut prints. Personal experimentation. Krampus mask - pencil and coloured pencil on paper and glitter foam. Personal experimentation / teaching example. 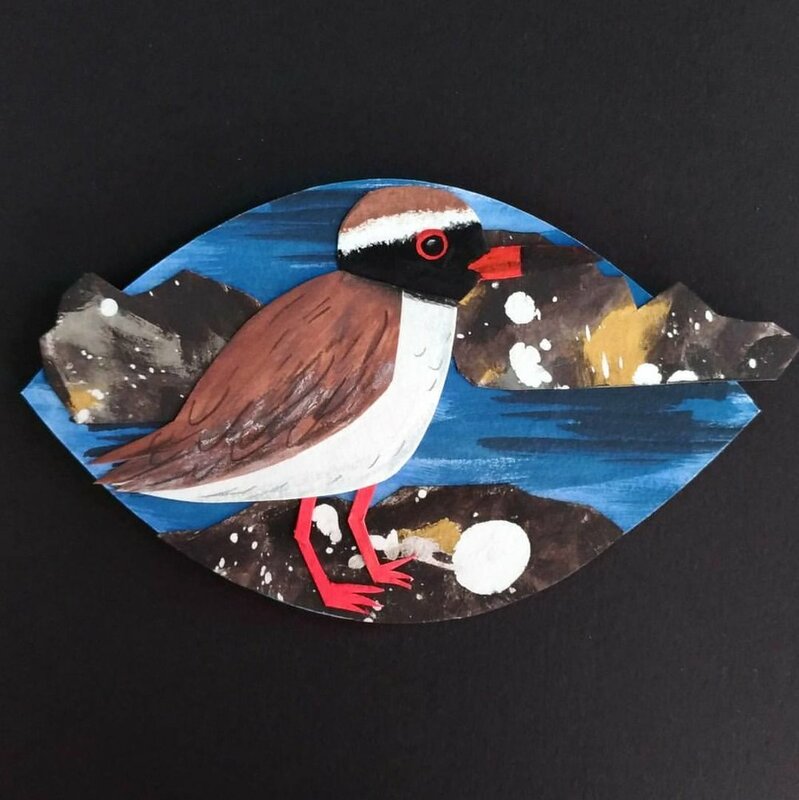 Karuhiruhi/Pied shag - painted paper collage. Made for Seed Gallery's A New Leaf exhibition. Hoiho/Yellow-eyed penguin - painted paper collage. Made for Seed Gallery's A New Leaf exhibition.